The keys to understanding and developing courage This groundbreaking book reveals that courage is more about managing fear than not feeling it, and that courage can be learned. The author explains that most courageous people are unaware of their own bravery, and all of us have some form of courage in our lives now, to start with. The book is filled with illustrative examples, studies, and interviews from Greenland to Kenya, and defines the types of individuals who demonstrate general, personal, and civil courage. The author includes clear guidelines and suggestions for increasing our ability to be courageous. 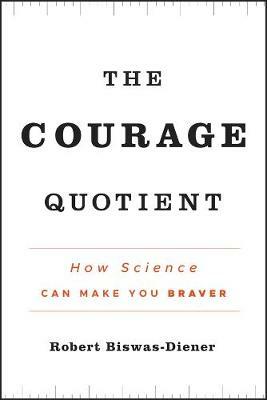 * Includes guidelines that show how anyone can ramp-up their courage quotient and develop the qualities that strengthen personal courage * Contains a wealth of examples and anecdotes of real-world courage from a variety of cultures * A prolific writer, the author has a popular blog Psychology Today The author extols the virtues of personal courage and shows how to overcome fear and stand up for what is right.